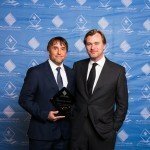 LOS ANGELES, 29 January 2015— Triple Academy Award® nominee Richard Linklater will receive the Cinema Audio Society Filmmaker Award at the 51st Annual CAS Awards on February 14, 2015 at the historic Millennium-Biltmore Hotel, Los Angeles. 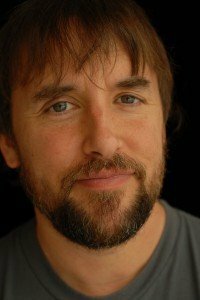 In 1984, after a stint on an offshore oil rig in the Gulf of Mexico, Texas native Richard Linklater, armed with a Super-8 camera, projector and editing equipment moved to Austin, Texas and enrolled in Austin Community College to study film. The following year he founded the Austin Film Society to showcase films from around the world that were not typically shown in Austin. Linklater has made over 19 films and is best known for his coming of age comedy Dazed and Confused which was responsible for the breakout of fellow East Texas native Matthew McConaughey; his romantic trilogy Before Sunrise and the sequels Before Sunset and Before Midnight, which garnered him two Oscar nominations; his rotoscope animated films Waking Life and A Scanner Darkly; and his music-themed comedy School of Rock. His current release, Boyhood, was filmed over a twelve year period with the same cast and crew and has been critically acclaimed as “One of the most extraordinary films of the 21st Century. In my 15 years of professional movie reviewing, I can’t think of any film that has affected me the way ‘Boyhood’ did.” — A.O. Scott of The New York Times. The film has received six Academy Award® nominations with three of those for Linklater’s producing directing and writing, five BAFTA nods and, to date, 125 wins including Golden Globe wins for Best Picture, Best Director and Best Actress in a Supporting Role for Patricia Arquette. Over 150 critics across the country have picked Boyhood as the Best Film of the Year. He has also been nominated by both the DGA and the WGA. Linklater continues to support the Austin Film Society and currently serves as the Artistic Director. The AFS has become one of the nation’s top film organizations showing over 200 films a year, has educational programs, and has given out over $1,500,000 in grants to Texas filmmakers since 1996. Linklater will be the 10th CAS Filmmaker Honoree. Past honorees have been: Quentin Tarantino, Gil Cates, Bill Condon, Paul Mazursky, Henry Selick, Taylor Hackford, Rob Marshall, Jonathan Demme and Edward Zwick. Also being honored with the CAS Career Achievement Award is previously announced recipient David Macmillan, CAS. Macmillan will be the 33rd CAS Career Achievement Award Honoree. Past honorees include: Gene Catamessa, Jack Solomon, John Bonner, Bill Varney, Don Rogers, Walter Murch, Jim Webb, Richard Portman, Willie Burton, Tomlinson Holman, Mike Minkler, Ed Greene, Dennis Sands, Randy Thom, Jeffrey S. Wexler, Scott Millan, Chris Newman and Andy Nelson. During the awards ceremony the CAS with also present the first CAS Student Recognition Award which will be presented to one of five student finalists: Michael Cullen of Chapman University, Dodge College of Film and Media Arts, Heather Fink of New York University, John Harton of Savannah College of Art & Design, Danny Maurer of University of Colorado Denver and Alyssa Schwartzberg of Brooklyn College. 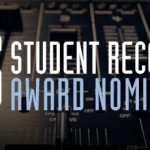 The 51st CAS Awards dinner will also honor Outstanding Achievements in Sound Mixing in six categories: Motion Pictures, Animated Motion Pictures, Television Movies and Mini- Series, Television Series-One Hour, Television Series-Half Hour, Television-Non-Fiction, Variety or Music Series or Specials. The winners of the CAS Technical Achievement Awards for Production and Post-Production will also be announced at the dinner.